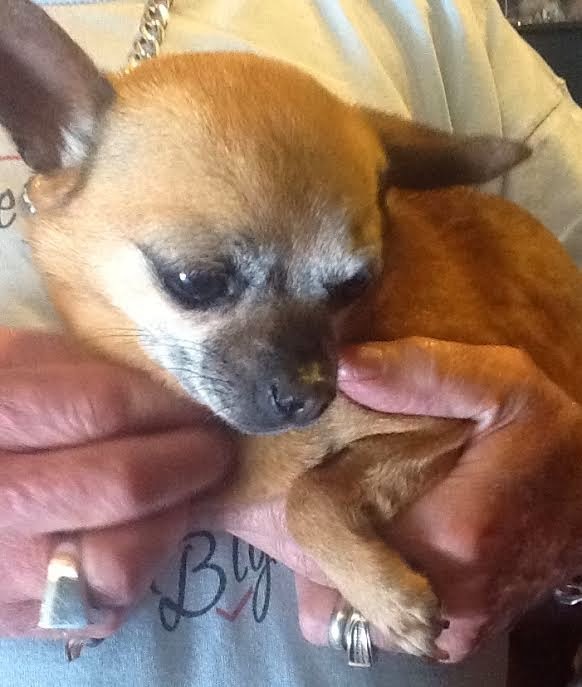 A delightful little pure Chihuahua about five years who was surrendered by his family after his owner passed away. He has adjusted really well and settling in, is good with the other dogs. Will not be suitable with young children, not an active lifestyle. He has been desexed, immunised, and microchipped. Is yet to have his booster mmunisation and be health checked by our vet, but appears to be a well adjusted healthy little man. His price will be $300. Hello, l am absolutely in love with this little Chi, l have owned 3 Chihuahua of my own, mum, dad, and son, l lost Ola my little man on mothers day. I would dearly love to meet him if he isn't adopted. Please let me know, thank you Debra. This dog is currently "Happily Rehomed". If you look just above the comment box, you will see the "labels" section. For this dog, the label is "Happily Rehomed", so he is not available. To see *just* the dogs that are currently available, click on this link for all dogs with the "Available Now" tag: http://chihuahuarescue.blogspot.com.au/search/label/Available%20now.